The streets and buildings of Wellington are slathered in copious amounts of paint, with sharks, monsters and other creations adorning most surfaces. The best are found when you least expect it, like an alleyway door or perched on the wall above a dumpster. Some cover a whole building side, like the sharks next to Te Papa (find the x-ray sharks!) and are quite incredible. 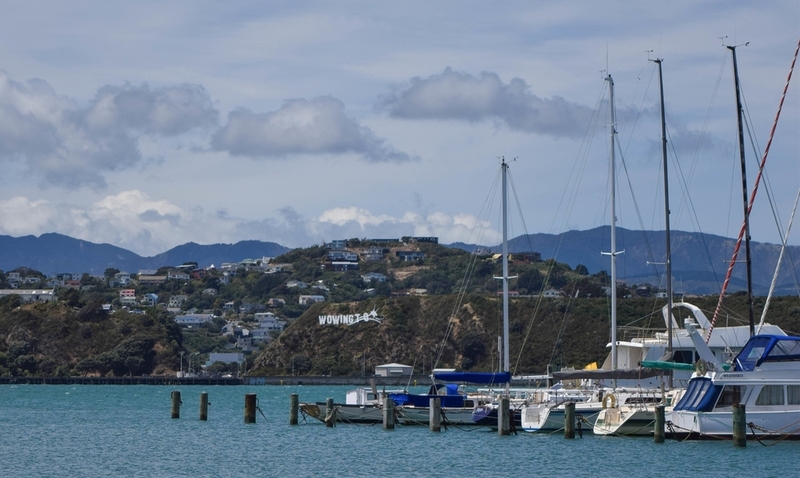 Wellington will be contending with the likes of Melbourne, New York and Berlin soon! As well as the street art, there are wonderful galleries to visit. My favorite was Eyeball Kicks, with its unusual and eccentric prints. If you are a lover of Dr. Seuss, then check out this gallery - it's wonderful! 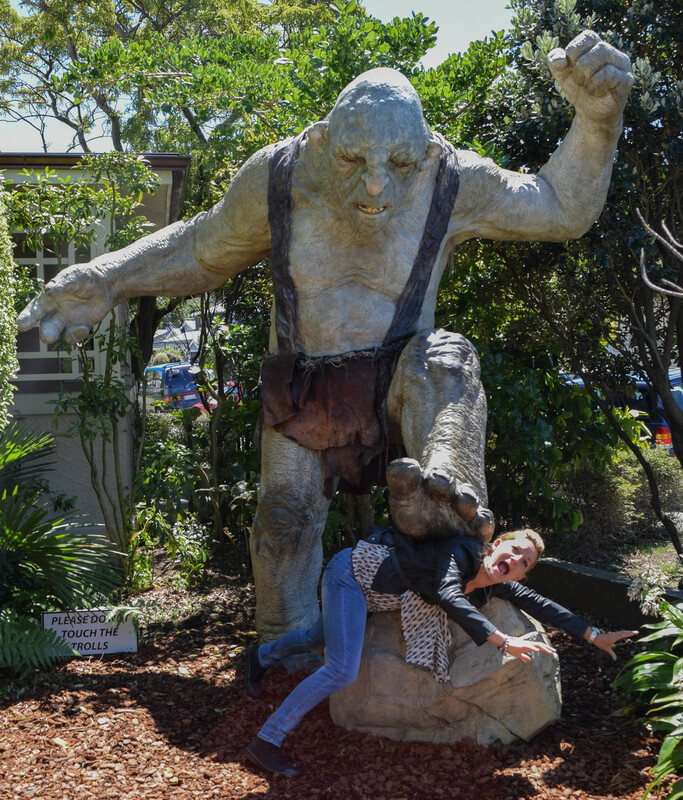 There are also sculptures and large pieces that are scattered through the wider Wellington region so make sure you explore further. It's not nicknamed 'Windy Wellington' for no reason. Ladies, protect your tresses and wear a hat or tie it up! (I had to redo many photos due to my hair whipping in front of my lens - so annoying!). We were lucky enough to have beautiful weather while we visited, but the wind will nearly always be present. In the inner city it's pleasant, but around the waterfront and hills it can be colder so pack a jacket just to be on the safe side. This one could also be titled 'up-cycled and vintage is soooo trendy', or 'you just can't help but shop'. Either way you take it, the shopping here is wonderful! Whatever your style, there will be something for you in Wellington. If your style is vintage, retro, up-cycled, or bat-sh*t cray cray, then there is definitely a lot for you! (Or if you love records. There's lots of record shops). There is an abundance of stores focused on using old clothes and re-working them into new trendy pieces, and many keeping them original. There is also brand new stuff in lovely little stores, some with giant price tags and some without! Start at the top and Cuba Street and work your way down from there... My favorite piece was my new hat from Frutti - perfect for hiding travel hair! With every corner you turn you will see another place you will want to go - day or night. We took a wrong turn, and ended up finding 'beer geek heaven', and another intriguing one named 'Meow'. (Want to visit them? Head to Edward Street - but don't bother driving here). There's all the obvious hot spots down Courteney Place, but for smaller joints check out Cuba Street and the streets nearby. The suburbs also have incredible finds too - we were staying in Strathmore and had the mexican restaurant La Boca Loca recommended to us. Whatever your tastes, just wander the streets and you will find something! This was the reason for my visit - my team and I were playing New Zealand's top team, the Richter City All Stars. It was always destined to be a tough game (they are a couple of years ahead of us, and are known for tight knit walls and good jammers) but it was still a shock to the system! Three quarters of both teams fouled out, there was expulsions, and I had to jam like hell. Roller derby is so much fun to play, and is totally self-funded by the players and supporters - so go check out a game near you and support your local league! 8. YOU WANT TO PHOTOGRAPH EVERYTHING - IT'S JUST SO PRETTY! Go forth and enjoy! Which place has made you feel 'Yes. I want to live here! '?